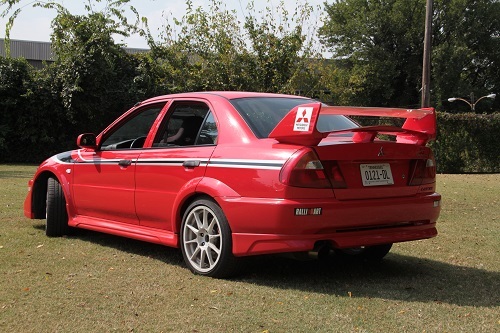 The Mitsubishi Lancer Evolution was introduced in 1992. 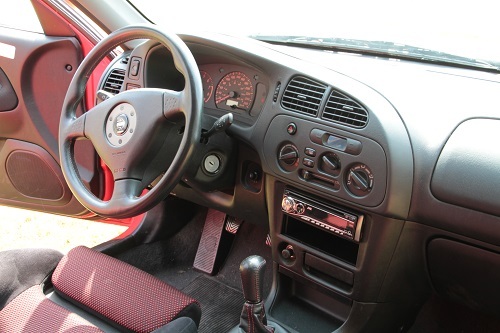 The car was developed to compete in the World Rally Championship. 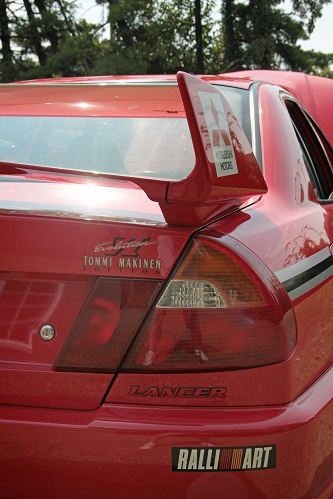 The first Lancer Evo was called the Evo 1. It had 4-wheel drive and produced 244 hp with a 4-cylinder turbocharged engine. 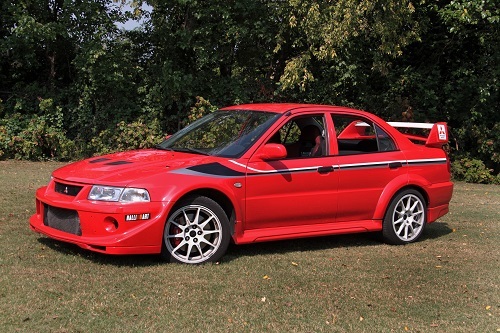 The Evo VI before you is a special edition to commemorate Tommi Makinen winning the World Rally Championship for four consecutive years (1996-1999). This special edition features a different front bumper with 17” Enkei wheels and a titanium turbine that spools up the turbo quicker. The Lancer Evolution was produced until 2016, by then in its 10th generation. 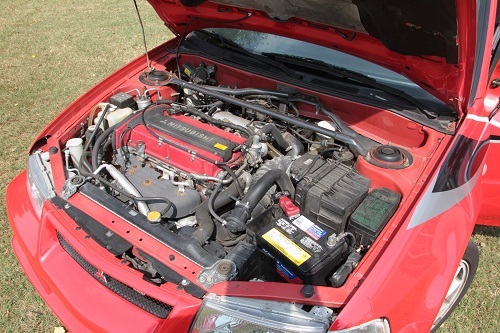 The Lancer Evolution did not come to American shores until the 8th generation debuted in 2003, and was marketed as a direct competitor to Subaru’s WRX STi. Mitsubishi ceased production of the Evo in 2016 and the Lancer it was based off worldwide in 2017. The very last Lancer Evo X was sold on eBay in September 2016 for $76,400, nearly twice the retail price of a "Final Edition" Evo, with proceeds going to charity.